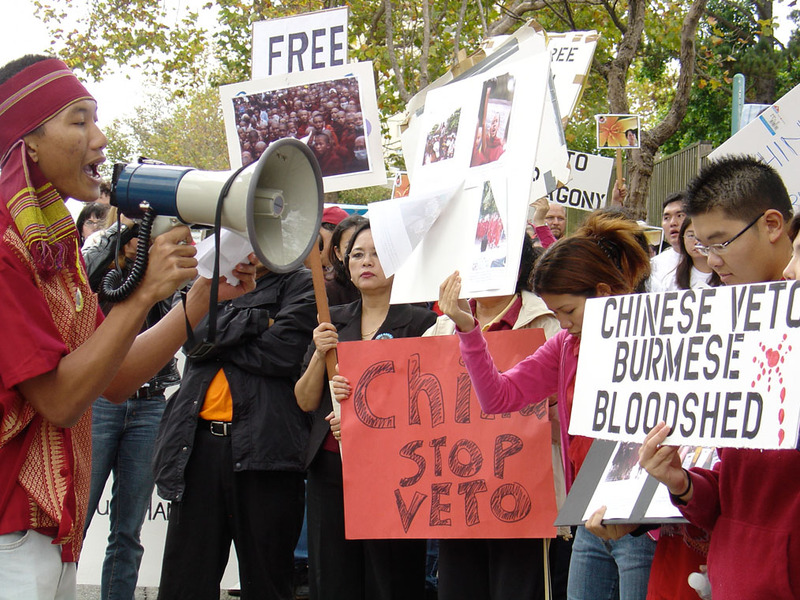 Solidarity with the September 2007 uprising in Burma. 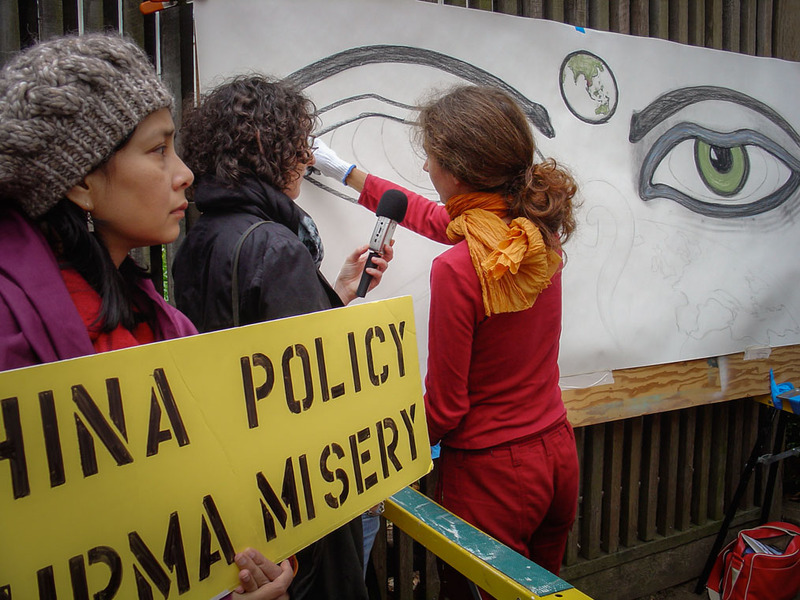 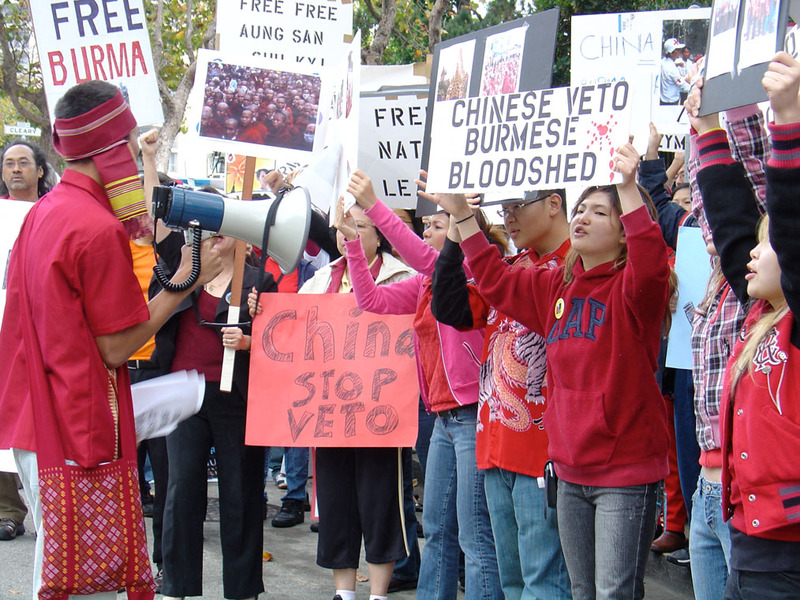 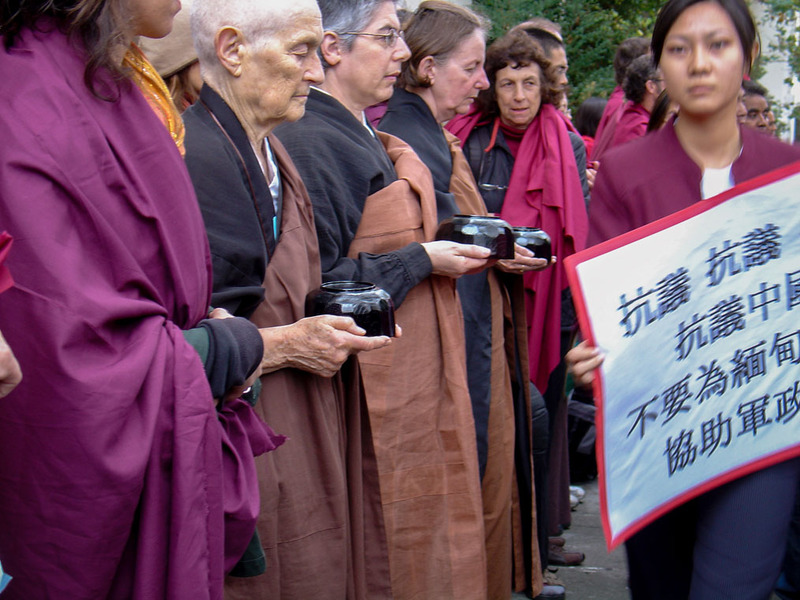 Rebecca Solnit describes this moment in her 2013 book, “The Faraway Nearby”, when she and Marisa Handler invited me to join them and other Zen Center members to participate in a demonstration at the Chinese consulate in San Francisco to draw attention to the violent repression of the uprising in Burma at the time. 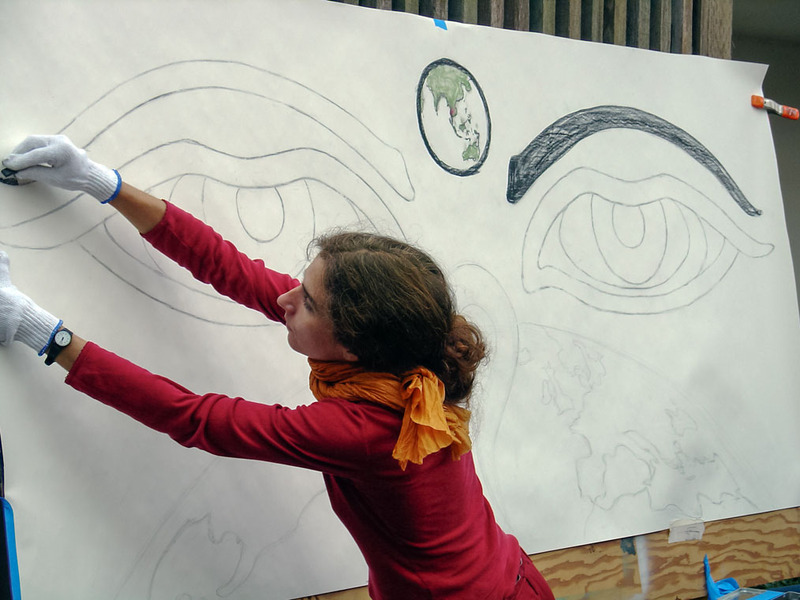 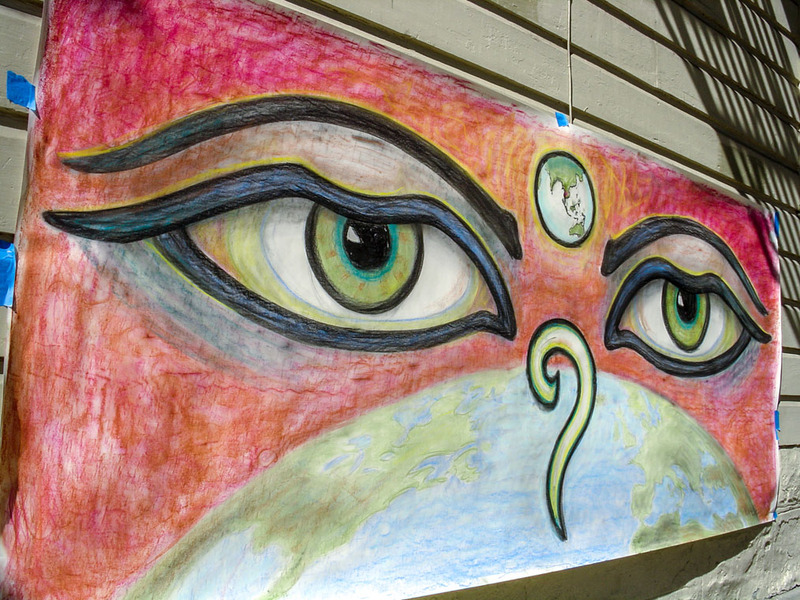 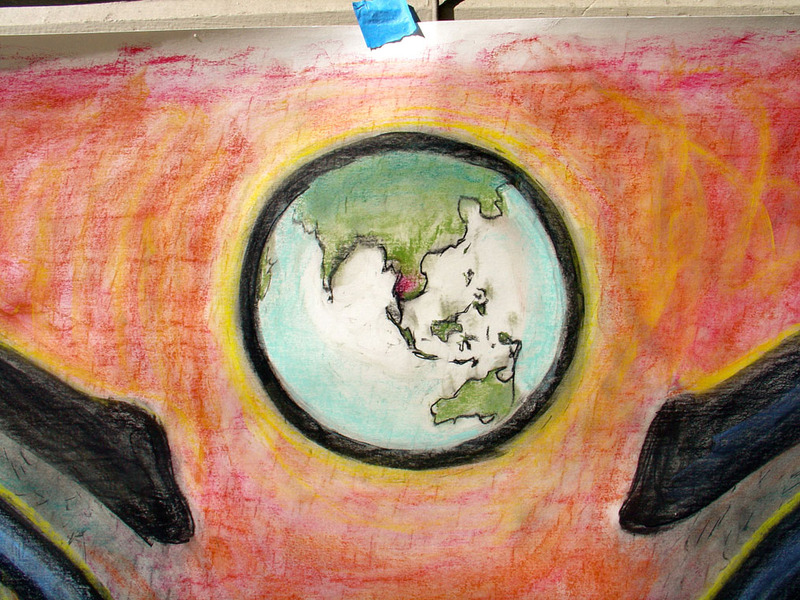 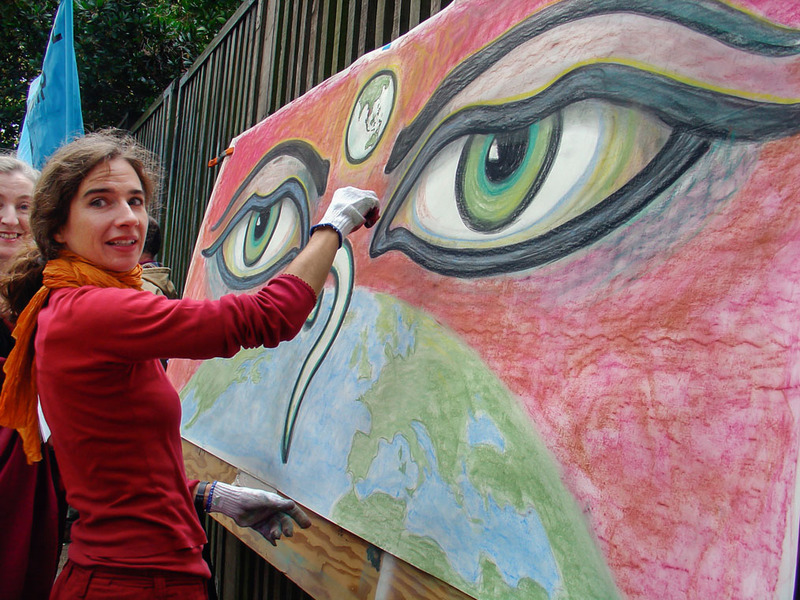 The simple pictorial message, “the world is watching”, was conveyed in a drawing I created at the demonstration, which was subsequently reused at several local solidarity marches by buddhist monks and supporters.